Hebburn is a small town situated on the South Bank of the River Tyne, between Jarrow and Bill Quay. It has a population of around 20,000. Hebburn today is home to two non-league football teams Hebburn FC and Reyrolle FC. Hebburn has its own central shopping centre within easy walk of the Metro Station. The centre compromises of an ASDA store, hairdressers, and many more small businesses. The Tyne and Wear Metro provides fast and frequent transport links to the surrounding area. 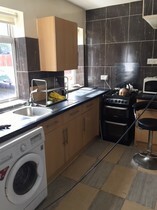 There are plenty of properties to rent in Hebburn and the town has excellent amenities. Hebburn Swimming Baths has a swimming pool and public gym. Hebburn Community Centre offers many activities ranging from fitness classes to drama. The centre is also home to a popular soft play area for children. There are many pubs and restaurants including a Weatherspoons and Mambos. For families looking for homes to rent in Hebburn, the town has 13 schools ranging from Nursery’s, Junior Schools and Comprehensive Schools. Ask KIS lettings to help you find the best homes to let in Hebburn.